As an SMB owner, you know the stress that comes with being the key decision maker—from financing the business to hiring the right staff, to purchasing the best systems for your business so you can obtain a competitive advantage in the market and drive productivity. This is especially true when it comes to buying IT networking gear. The biggest challenge is often selecting the best equipment—at the best price and performance—that fits your business needs. You have to narrow your choice of product evaluations from dozens of vendors and dozens of products. Not only is this a timely and expensive task (time is money, especially for SMBs), it is nearly impossible to do if you don’t have a lot of IT experience. The good news is that now, thanks to Cisco, you have a tool that can help you make your decision in just a few easy steps. 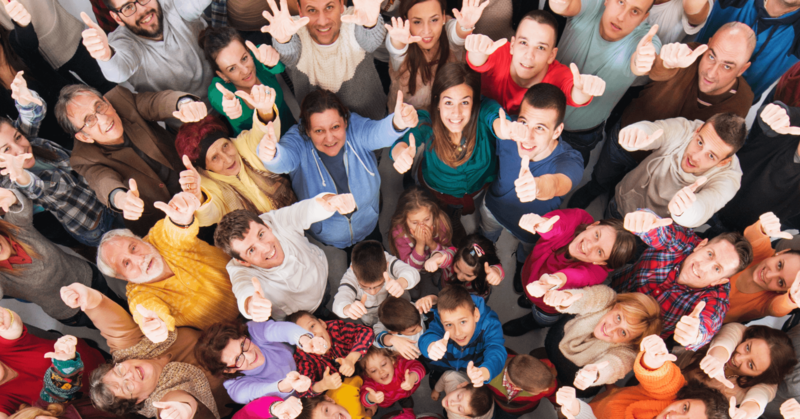 Yet, enthusiasm aside, how do you make the right decision for your company? Everyone knows one size does not fit all small businesses. Buyers are 67 percent through the buying process before they engage with a vendor. This is a significant statistic—67 percent, nearly 70 percent, of the purchase process is decided before the buyer talks to sales. As mentioned above, the buyer has done his or her homework—and is often very engaged and enthusiastic about the project. Yet, wouldn’t it be comforting, not to mention best practice and savvy decision making, to know that your decision is backed by years of professional IT experience in SMBs? You can have that added assurance with the Cisco SMB Product Selector Tool. The Selector Tool is just the beginning. Cisco ranks as the most highly respected premiere IT networking brands for enterprises worldwide with about a 70 percent market share. Yet, many SMBs perceive Cisco to be mostly an Enterprise company. Why? Some SMBs believe Cisco’s product solutions are too complex and expensive to fit their budgets. Since the research findings, Cisco has been aggressively rolling out products to meet the growing needs of SMBs, which will spend $668 billion on IT products and services in 2020, according to IDC. Cisco recently launched multiple products aimed at strengthening its SMB portfolio. Cisco is a one-stop-shop for SMBs. 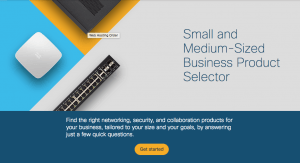 To enable SMBs to quickly and effectively choose quality Cisco products and solutions for their business at an affordable price, Cisco launched the Cisco Product Selector Tool. Now, SMBs are one-minute away from choosing products that can narrow down their choices—in just eight clicks. You can find the technical solution that fits your specific business needs using this tool—it takes away the confusion and complexity of finding the right fit for your business needs. Try the Cisco Product Selector Tool for yourself right now and see how easy it is to find the best technology for your business. Cisco is already working on a Phase 2 Cisco Selector Tool that will include even more products and features. Cisco offers affordable small business solutions that are just right for your business. Find everything you need for your growing business: Switching, wireless, routing, management, security, collaboration, and computing. I believe this is a real game-changer showing how the Cisco Product Selector Tool is making IT decisions easy for SMBs — giving enterprise quality and security at affordable prices. I would love to know about your experience with the Selector Tool. Give me a shout!